Austin driver Michael Haymond says he'll commute 2-3 hours to Dallas or San Antonio in order to keep driving for Lyft. Last week, Austin resident Michael Haymond was making a stable income and supporting his family. But as of 5 a.m. Monday, his life -- and income -- is in flux. Haymond, 39, started driving for Lyft more than a year ago. In addition to supporting himself, Haymond is the breadwinner for his wife -- who has a chronic condition that leaves her in and out of the hospital -- their two 13-year-olds, and his two college-aged children. But on Saturday, Austin residents voted to require ride-hailing companies to fingerprint drivers as part of their background checks. 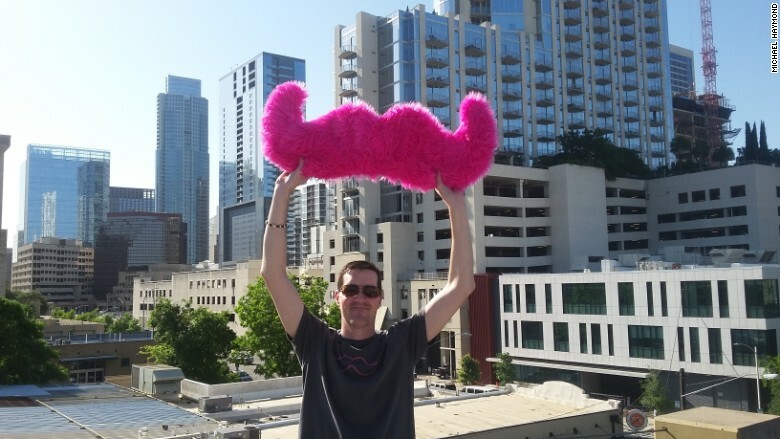 Rather than require drivers to be fingerprinted, Uber and Lyft left Austin Monday morning. They argue that the fingerprint databases are often out of date and biased against minorities, who may have been fingerprinted but never charged with a crime. It's also an issue of money. On-boarding a large number of new drivers quickly is a key part of the ride-hailing business model. Fingerprints slow down the process drastically and leads to fewer part-time drivers. The immediate exit wasn't a condition of the vote (they were required to comply by February 2017 or be fined), but the companies are intent on making a statement. Uber and Lyft have previously pulled out of cities like Columbus, Ohio, and Broward County, Florida, returning only after fingerprint requirements were waived. "[These rules] make it harder for part-time drivers, the heart of Lyft's peer-to-peer model, to get on the road and harder for passengers to get a ride," a Lyft spokesperson said in a statement. "Because of this, we have to take a stand for a long-term path forward that lets ridesharing continue to grow across the country." But in the meantime, many drivers in Austin are out of luck. Lyft and Uber both said they had more than 10,000 drivers in Austin (presumably many people were driving for both companies). Many drivers blamed Uber and Lyft, which spent $8 million lobbying against the proposition, for the impasse. "Nobody is making them leave," said DJ Roberts, a 21-year-old student at the University of Texas who drives for Lyft in his spare time. "It's Uber and Lyft choosing ... I'm angry, I'm frustrated and I'm annoyed." He added that he wouldn't mind submitting fingerprints as a way to ensure people's safety across the board. Fingerprinting is already required for taxi and limo drivers in Austin. Haymond also said he would be fine being fingerprinted. But he sees the controversy differently. He believes it was just a political maneuver aimed at keeping the established taxi businesses afloat. "The city did a really good job of using scare tactics, deceiving people saying that Lyft and Uber are trying to write their own rules," he said. "Basically what they did was establish regulations that they knew would cause Lyft and Uber to leave the city." Haymond said he's confident that Lyft's current name-based background check, along with its rating system, GPS tracking and mentor program, are sufficient. Haymond said he'll do this until Lyft and the city come to an agreement -- which he's hopeful that they will soon. --CNNMoney's Heather Kelly contributed reporting.